If you're trying to achieve a lovely Gone with the Wind appearance this is the perfect accessory to complete your costume. 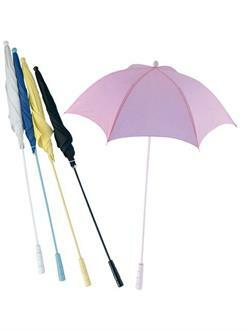 Add a white parasol and use it for Halloween or theatrical performances. The Parasol is 25 inches in diameter when open. The rod is 32 inches in length.